I haven’t had much experience with mascarpone. In fact, besides a few dessert recipes – think tiramisu – I didn’t know much about it when we decided to attempt it. It is in fact not a true curd cheese. It is often lumped in with the soft cheeses, but it is in the yogurt family. Like yogurt you make mascarpone by heating milk and then adding a culture. While there is some draining involved to get your desired consistency you don’t end up with curds like you do when making a true curd cheese. It is originally an Italian cheese from the Southern Lombardy region of Italy and while most famous for its role in tiramisu, it is delicious when used as a cream cheese substitute, both as a spread and in cheesecake. We decided to give mascarpone a go along with another batch of yogurt – who knew they were so closely related? We did two batches of mascarpone, both from Ricki Carroll’s book. One used a packet of direct-set creme fraiche starter and the other with tartaric acid. Each of these recipes was very easy and something that could be tackled in your home kitchen in a few hours. 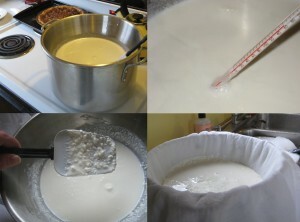 The mascarpone made with culture required you to heat the milk to 86 degrees and then let sit for 12 hours. It can be drained in the refrigerator for a few more hours if a thicker consistency is wanted. 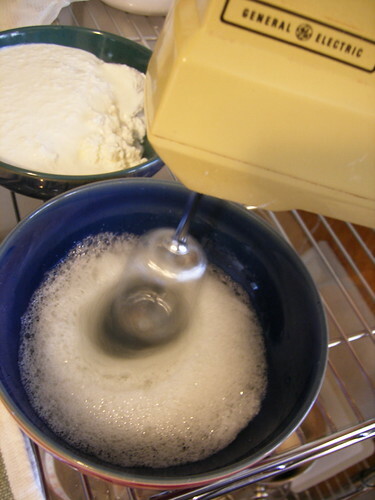 The mascarpone with tartaric acid required a 185 degree initial temperature before adding a 1/8-1/4 teaspoon of tartaric acid (I added a little over 1/8 of a teaspoon). Once the tartaric acid has been mixed in thoroughly it is set to drain in a colander for 1 hour. I actually let it drain for about 4 hours. The results, while successful in both recipes, were clearly vastly different from each other. The mascarpone with culture came out looking and tasting like mascarpone cheese that I’ve bought at the store. It had a thicker, cream cheese consistency with that delicious tart yogurty like tang. A much richer taste overall then the mascarpone with tartaric acid. The tartaric acid mascarpone came out much more liquidy – although this might have been remedied if I’d let it drain even longer than I did. While the flavor was fresh and pleasant it was fairly bland and still tasted very much like heavy fresh cream. Take one chocolate panini from Portland Pearl Bakery sliced, slice fresh strawberries and sprinkle with a little sugar, spread mascarpone onto chocolate panini and layer with sliced strawberries. Easy and supremely delicious. 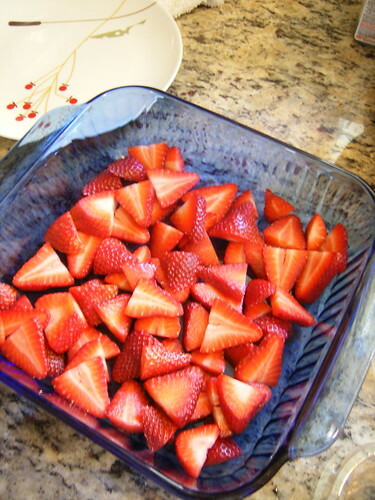 For those interested in making it a bit more complicated might I suggest sprinkling the strawberries with a little high quality balsamic vinegar or stirring in a little vanilla with the mascarpone – or both if you are feeling fancy. Even just the basic recipe made a delicious treat after a long day of work and had the benefit of feeling like a splurge without all the effort that that usually requires. Amanda here — with my share of mascarpone, I had in mind to make the tiramisu recipe from The Cheese Lover’s Kitchen Handbook by Juliet Harbutt. However, I could not resist the lure of the gorgeous strawberries showing up at the grocery store even though I know they are not in season. 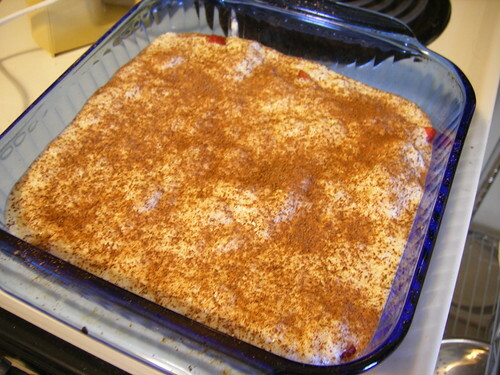 So, I omitted the lady fingers and brandy and used strawberries in place — a sort of summer tiramisu. I used up all of my mascarpone. The one made with creme fraiche starter was firmer, more textured and had the underlying flavor of cream cheese. The one made with simple tartaric acid stayed soupy and very bland. 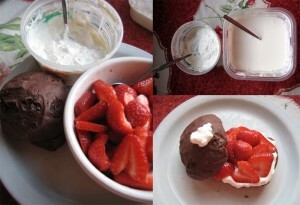 Nonetheless, I mixed them together and the flavor, with the eggs and sugar and berries and grated chocolate was divine. I shared it with the neighbors across the street and we sat on their deck, under the stars and gobbled it up in a matter of minutes. You can see all of the steps and a better explanation of the recipe in my Flickr set. I would totally make this again. With the starter, the mascarpone was very easy to do and had a really fresh and light flavor which gave the tiramisu a real liveliness. Tiramisu requires chilling for at least an hour or as long as 24 hours so this would be a great dessert to make ahead of time. The mascarpone can sit refrigerated for at least a week.